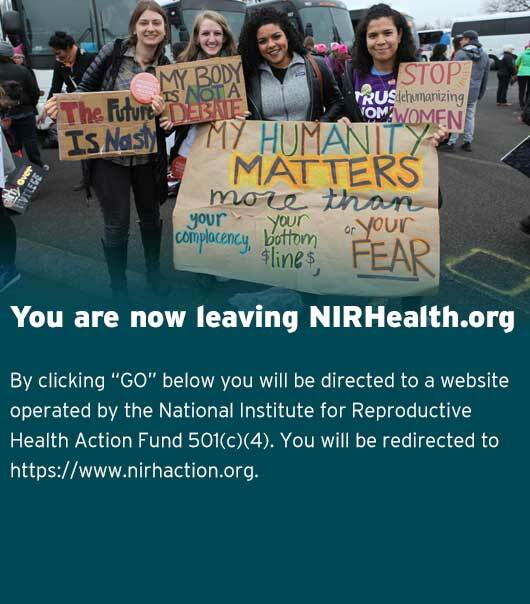 The National Institute for Reproductive Health (NIRH) builds power at the state and local level to change public policy, galvanize public support, and normalize women’s decisions about abortion and contraception. Using a partnership model, we provide state and local advocates with strategic guidance, hands-on support, and funding to create national change from the ground up. We are a force multiplier – we form strategic partnerships with a wide range of organizations to directly impact the reproductive health and lives of women across the country. Since 2008, NIRH has provided direct grants and hands-on support to nearly 150 reproductive health, rights, and justice organizations in 39 states and 56 localities across the country. In 2018, NIRH’s partnerships and its work in New York State and City span 23 states, including 13 localities. This new position comes at an exceptionally important time in the reproductive rights, health and justice movements, as attacks at the federal level have left states and localities at the forefront of protecting and expanding reproductive e freedom for women and all people throughout the nation. This is an exciting opportunity to be part of a wave of social justice work that will help ensure reproductive freedom for the next generation. The Policy and Partnerships Manager will be part of the National Institute’s Policy and Strategic Partnerships Team, providing hands-on strategic guidance and technical assistance to organizations throughout the country working to advance reproductive health, rights, and justice, with a particular emphasis on abortion access. This person will play an integral role with our state and local level initiatives, working with state and local partners to develop and support proactive advocacy campaigns, build effective coalitions, and strengthen organizational capacity. The Policy and Partnerships Manager will also represent the National Institute for Reproductive Health on coalitions and at conferences. This staff person will be joining a team that’s engaged in shifting its social justice framework to center racial equity as a core priority, as NIRH staff and board have committed to racial equity and have been engaged in a multi-year process to adopt a racial equity lens across the organization. This is an exciting opportunity for a social justice advocate who already has advocacy and/or political experience in multiple states, or for a social justice advocate with experience on the local or state level who is eager to build the reproductive rights, health and justice movements across multiple states and to amplify the work of advocates across the country. The Policy and Partnerships Manager reports directly to the Director of Policy. This position is based in New York, NY. Provide policy, political and campaign strategy-related support and guidance to state and local partners to assist their state-and local-based advocacy, including by working with partners to identify policy goals; develop and execute new policy or issue campaigns; including communications and field components; and build strong coalitions. Bring or develop an expertise on core policy issues, including abortion and contraception, and work with state and national partners to advance NIRH’s goals and mission on those issues. Consistently use racial equity analysis while working with national and state partners. Work with NIRH policy staff to develop materials that advance NIRH’s proactive reproductive health policy goals, including reports and publications. Participate in national, state, and local coalitions and develop relationships with allies and other organizations to further advocacy goals. Speak publicly at national, state, and local forums, conferences and meetings. Travel regularly throughout the country to meet with partners and participate at conferences and other meetings. Minimum of three years experience, with increasing responsibility, in legislative affairs, government relations, policy advocacy or political affairs at the state or local level; applicants with more experience encouraged to apply. A proven ability to analyze complex issues and translate ideas into effective strategies. Ability to manage multiple, time-sensitive tasks and set priorities. Familiarity working as a team player. Familiarity with the policy change process and ability to work with legislative counsel and non-lawyers to understand and advocate for legislation and administrative policy change, as well as to communicate about those processes with a range of audiences. Familiarity with communications, policy, political and organizing strategies to achieve policy change; campaign experience a plus. Ability to work with diverse coalitions and understand a range of perspectives; comfort with and ability to use a racial equity analysis in policy change work. Experience and comfort with speaking regularly in front of diverse audiences. Ability to travel throughout the country for meetings and conferences. Deep commitment to progressive social justice goals, preferably with experience working on reproductive justice, health or rights. Email a thoughtful cover letter, writing sample, and resume in one PDF to humanresources@nirhealth.org with “Policy and Partnerships Manager” in the subject line. Applications will be reviewed on a rolling basis. All applications must be received via email. No phone inquiries please.